Splendour in the Grass is an annual art and music festival that attracts music lovers to Byron Bay’s scenic parklands. The annual event accommodates 17,500 people who party for the weekend to a mix of rock, hip hop, electronic and alternative beats from both international and national artists, also featuring local arts and crafts, creative performances and cuisine. 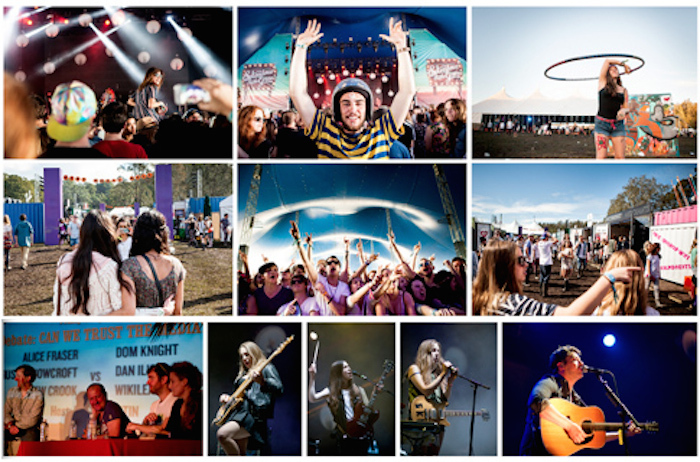 From humble beginnings in 2001 Splendour in the Grass is now a world leading experience for music lovers. Byron Bay Accom has the largest range of accommodation from private houses in the Byron Bay hinterland to little cottages on the beach at Belongil, motel rooms in Ballina and apartments in the centre of Byron Bay. Very popular and close to the beach and town are Belongil Beach, Wategos Beach, Byron Bay centre and Suffolk Park. There are some lovely towns very close by with some stylish budget options, including Ballina, Lennox Head, Bangalow and other surrounding areas. For the budget conscious traveller who has already splurged on buying tickets for the music fest, you need not worry about over spending on accommodation in Byron Bay. Byron Bay Accom has plenty of affordable very close to the event grounds. We have budget hotels, guest houses and B&B's that provide simple, clean and affordable accommodation close to the beach and best hotspots in town. Budget accommodation ranges from $80 per night up to $200. If you’re coming to Byron Bay to attend the music fest and relax yourself in the comfort of modern luxuries, then Byron Bay Accom has a wide range of hotels and boutique resorts for your holiday. Hotels and resorts in Byron Bay are not only close to the beach and top attractions, but also provide comforts and luxuries for a relaxing stress-free holiday. Mid-range accommodation options are available from $200 onwards. Luxury Byron Bay beach houses and private villas are a fine choice for couples and friends who wish to indulge in supreme luxuries alongside the music festival. Wake up to expansive ocean views from your private balcony, enjoy a refreshing dip in the pool, help yourself to a healthy breakfast and lose yourself to the beats of international artists at Splendour in the Grass. Luxury accommodation options in Byron Bay range from $350 up to $600.